I research travel and mobility in nineteenth century literature, with a particular interest in ideas of nation, global space, and the travelling body. I look at the works of authors including Charles Dickens, George Eliot, and Charlotte Brontë, and work with ideas from cultural and feminist geography, travel and mobility studies, and nineteenth-century cultural studies. I have recently been awarded a British Academy/Leverhulme Small Research Grant to work on “Sunburn and tanning in 19th Century medicine and culture” over the next two years. I have blogged further about this here. “‘A brown sunburnt gentleman’: Masculinity and the Travelling Body in Dickens’s Bleak House.” Nineteenth-Century Contexts 36.4 (September 2014): 323-334. Book section on Elizabeth Gaskell’s Cranford in Mobility in the Victorian Novel: Placing the Nation. The edited collection Sea Narratives: Cultural Responses to the Sea, 1600-present was published by Palgrave Macmillan in 2016. The book explores the relationship between the sea and culture from the early modern period to the present. The collection uses the concept of the ‘sea narrative’ as a lens through which to consider the multiple ways in which the sea has shaped, challenged, and expanded modes of cultural representation to produce varied, contested and provocative chronicles of the sea across a variety of cultural forms within diverse socio-cultural moments. Sea Narratives provides a unique perspective on the relationship between the sea and cultural production: it reveals the sea to be more than simply a source of creative inspiration, instead showing how the sea has had a demonstrable effect on new modes and forms of narration across the cultural sphere, and in turn, how these forms have been essential in shaping socio-cultural understandings of the sea. The result is an incisive exploration of the sea’s force as a cultural presence. 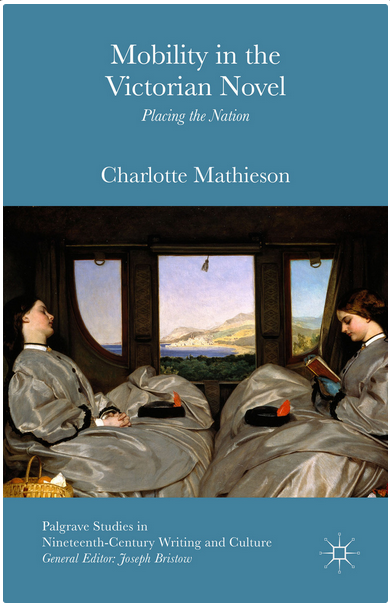 My monograph Mobility in the Victorian Novel: Placing the Nation was published by Palgrave Macmillan, September 2015. The book examines the significance of journeys in the mid-nineteenth century English novel, including Charles Dickens’s Little Dorrit (1855-7), Charlotte Brontë’s Jane Eyre (1847) and Villette (1853), George Eliot’s Adam Bede (1859), and Elizabeth Gaskell’s Mary Barton (1848). Travel is present in many and varied forms throughout these texts: walking, carriage and railway journeys within England, across Europe, and into the world beyond reflect the growing expansion of travel possibilities in the mid-century period. I identify how these journeys are significant to the structure and thematic concerns of the novel, providing crucial sites through which novels contend with the idea of national place in a changing global landscape. Article: “‘A moving and a moving on’: Mobility, Space and the Nation in Charles Dickens’s Bleak House.”English (Winter 2012) 61(235): 395-405. Book chapter: “‘A perambulating mass of woollen goods’: Bodies in transit in the mid-nineteenth century railway journey.” Transport in British Fiction: Technologies of Movement, 1840-1940, ed. Adrienne Gavin and Andrew Humphries. [Palgrave Macmillan 2015]. Book chapter: “‘The Formation of a Surface’: Europe in Charles Dickens’s Little Dorrit.” Britain and the Narration of Travel in the 19th Century, ed. Kate Hill. [Ashgate 2016]. Gender and Space in Rural Britain, 1840-1920, which I co-edited with Gemma Goodman, was published by Pickering and Chatto in March 2014. The collection explores the relationship between gender and space in rural environments, re-situating the rural as a vital context for understanding the meanings of gender and space in this period and within a British context. Bringing together scholars from different disciplinary perspectives, the collection aims to understand the diverse experiences of gendered rural spaces, and contributes to discussions about theoretical approaches to the space-gender intersection. Contributors look at rural spaces including farms, coasts, fens, countryside, and gardens, in fictional and non-fictional accounts from authors across the long Victorian period. Review in Victorian Studies 58.2 (Winter 2016). “”Wandering Like a Wild Thing’: Rurality, Women and Walking in George Eliot’s Adam Bede and The Mill on the Floss” in Gender and Space in Rural Britain 1840-1920, pp. 87-102. On this blog, see my posts on rurality. 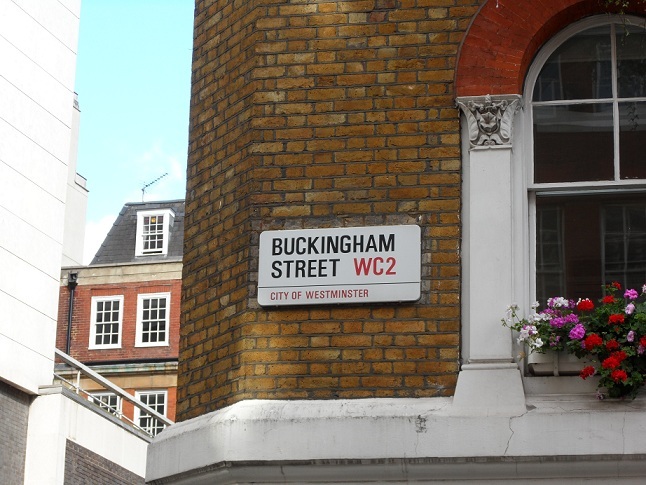 Dickens 2012: I have presented several papers and written a number of online pieces about the literary tourism legacy in the year of Dickens’s bicentenary. Published work on this includes the essay “A Tale of Two Londons: Locating Shakespeare and Dickens in 2012” (co-written with Peter Kirwan), in Shakespeare on the Global Stage: Performance and Festivity in the Olympic Year ed. Paul Prescott and Erin Sullivan. 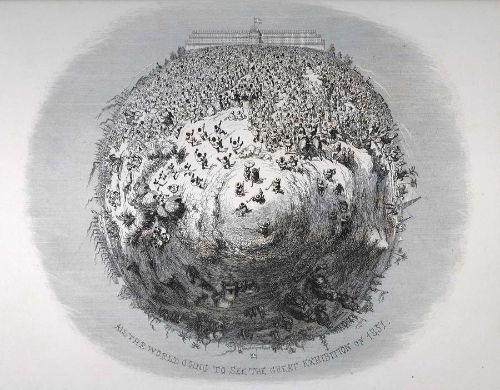 On this blog, see my Dickens 2012 pieces and my public engagement work. Charlotte Brontë: my latest work has begun to explore Charlotte Brontë’s legacy of place in Brussels. I am writing an essay titled “Brontë countries: nation, gender and place in the literary landscapes of Haworth and Brussels” for a collection on Charlotte Brontë’s afterlives. On this blog, see my Brontë pieces and my discussion piece on Brontë for JVC online. “A Tale of Two Londons: Locating Shakespeare and Dickens in 2012” (co-written with Dr Peter Kirwan). Shakespeare on the Global Stage: Performance and Festivity in the Olympic Year ed. Paul Prescott and Erin Sullivan. [Arden/Bloomsbury, 2015]. Forthcoming chapter: “Brontë countries: nation, gender and placein the literary landscapes of Haworth and Brussels” in Charlotte Brontë: Legacies and Afterlives, ed. Amber K. Regis and Deborah Wynne (Manchester University Press, 2016). I am developing new work on themes of mobility, place and the past in neo-Victorian literature and culture, exploring the continuities between literary tourism and literary spaces. The first of these pieces draws on my work into Dickens literary tourism , titled “Locating the Victorians: mobility, place and the past in neo-Victorian culture”, for a collection on re-visioning the Victorians. 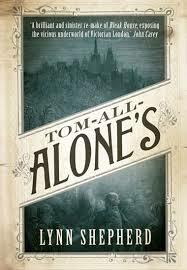 In a second piece, I am writing about the resonances between literary tourism and neo-Victorian fiction, in an essay on Lynn Shepherd’s novel Tom-All-Alone’s (2012) titled “Walking the Victorian city: Space and mobility in Lynn Shepherd’s Tom-All-Alone’s” for a collection on neo-Victorian cultures.